WordPress Web Development & Web Design is the core of our business. Everything we do is designed to create a clean, impressive, modern and fast website, built to make it easy for you to manage, and for your ideal customer to take action. A Website is a Marketing Tool, Not a Piece of Art! That’s why we put business goals and conversions above the latest design trends. Let’s work together to make the process of designing your new website, or redesigning your existing site, simple, fun and exciting. A new WordPress Digital Solution optimised to align with your brand and make it easy for your clients to interact with you. On-boarding and collection / collation of assets required – site content, logo’s, images etc. 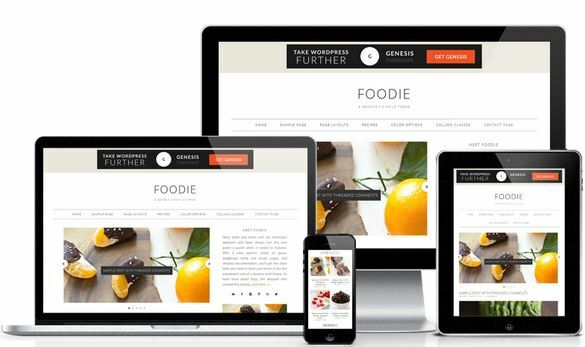 Genesis Theme configuration and setup – includes configuring your logo, site icon, content, images, colour palette & typography. WooCommerce / Online Store Setup (starts at $999). Pricing will vary based on how many items you have, types of products/services, extensions required etc. A registered domain name and web hosting are required before your project begins. Hosts can vary immensely in terms of service and pricing. I have experienced both the good and the bad. You generally get what you pay for! Shared cPanel hosting is the most cost effective option for small businesses, therefore it’s ideal for those just getting started ‘online’. There are hundreds of service providers to choose from; the two below have proven to be very popular for WordPress installations. If you’re only just beginning to think about a website, I would suggest reserving your domain name as soon as possible. GoDaddy has a solid reputation as a domain registrar, but there are plenty of others. I always advocate that ‘best practice’ is to keep your web hosting and domain registrar separate.